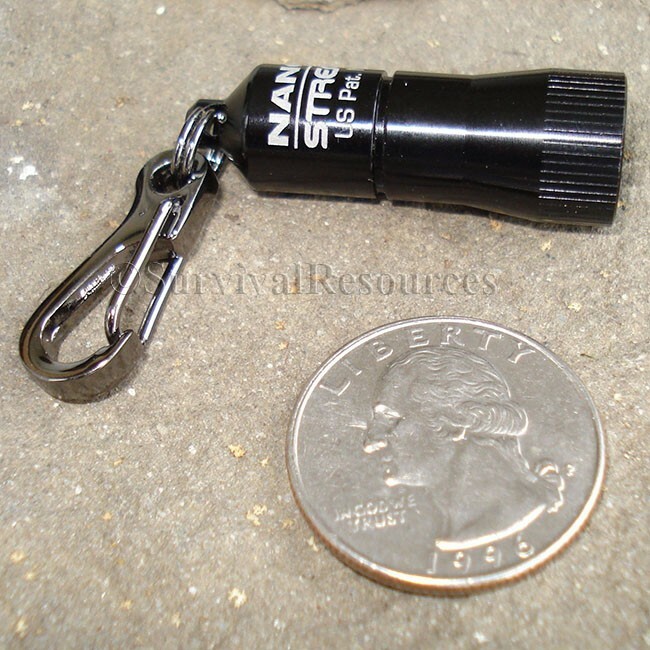 The Nano Light® by Streamlight® is extremely small and will fit in almost any mini kit! Shown actual size, you will still be amazed how small it is when you see it. Super bright, it projects a powerful 10 Lumen beam up to 8 hours with a 100,000 hour LED. You turn it on by rotating the cylinder. Constructed of machined aircraft-grade aluminum with an anodized finish, it is O-ring sealed to make it waterproof. The light is powered by 4 LR41 alkaline button cell batteries. 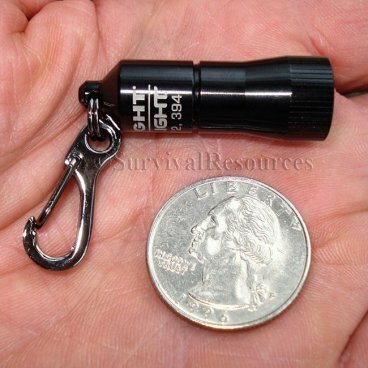 It measures only 0.5" in diameter by 1.47" (that's less than 1.5" long! ), and weighs only 0.36 oz. Color: Black. 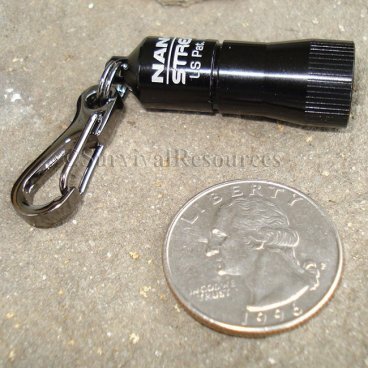 Includes a non-rotating snap hook for easy one-hand operation when attached to a zipper pull, keychain, etc.